Once in a while, I have people ask about the title I have chosen to wear as a writer. “Why limit yourself to being considered a ‘Florida Poet? '” they inquire, certain that I have made a horrible marketing mistake. The simple fact is, I believe in truth in advertising. My work, while not totally Florida-driven, is largely based here in my home state. Sure, I may write once in a while about exotic, even fictional, locales, but for the most part, the nature, the people, the settings, and the themes of my work are uniquely Floridian. I don’t write “Florida Poetry” so that I have a better shot at cornering one select niche of readers, nor do I use the term to make my work seem any more “Floridian” than that of my peers or colleagues. When I advertise myself as a “Florida Poet,” I do so because I want people to understand what they’re getting when they pick up one of my books, or when they see my pieces in journals and on websites all over. 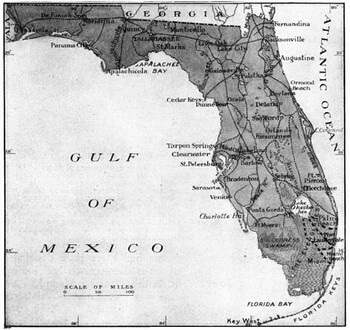 My perspective is one influenced by “Floridana,” and all that term encompasses. So, to those of you thinking I’ve eliminated myself from “serious literary consideration” and such, my hope is that you now have a better understanding of my position — I am Florida through and through, and no state is more universal.